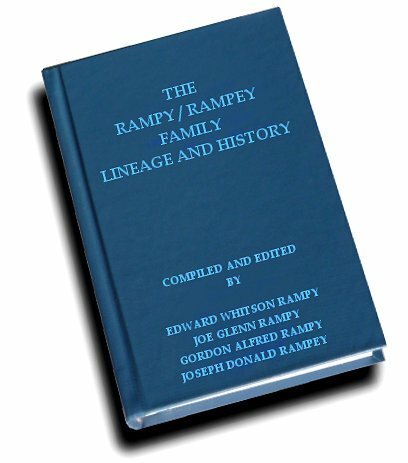 The Rampy/Rampey Family Lineage and History, including well over 1000 descendants of Johan Nicholas Rampy (1729-1781), was painstakingly compiled and published in 1993 by Edward W. Rampy, with input from Joe G. Rampy, Gordon A. Rampy, and Joe D. Rampey. It is presented here, with a few minor edits, in PDF format. It should also be noted that after publication of this book, a record was found in a churchbook of Kirn, Rheinland Pfaltz, Germany, dated 15 May, 1763, for the christening of Maria Elisabeth, daughter of Johan Nicholai and Catherine Elisabetha Rempi. This shows that the infant child which arrived in South Carolina with Johan Nicholas and Catherine in 1764 was not Peter, but instead a baby girl named Maria. Nothing more is known of Maria at this time. B-1. Gentlemen's Magazine and Historical Chronicle. B-3. London Magazine and Intelligencer.